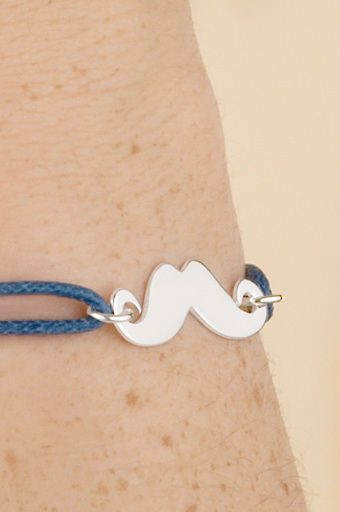 Bracelet " maille marine XL "
Motif « Moustache » découpé manuellement. The « Moustache » shape is manually cut out. The bracelet is an adjustable thin link, which is suitable for any wrist. 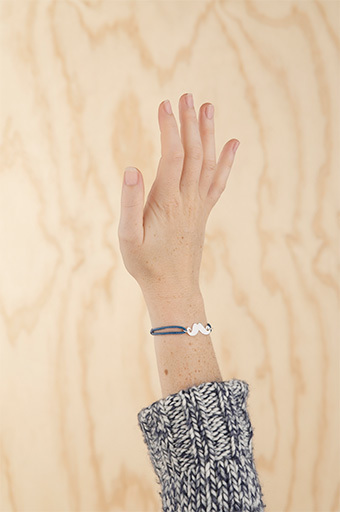 (The model is wearing the Moustache bracelet with a denim link).